What is a Merchant grain beetle? Merchant grain beetles typically infest pantry items like cereals, cake mixes, cookies, and chocolate. They like the combination of sweetness and dryness when it comes to an ideal food source. 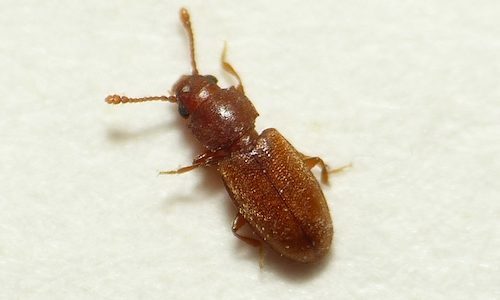 Merchant grain beetles are typically between one tenth and one eighth inches long with flat, matte, textured dark brown bodies. On each side of their narrow oval bodies are six saw-like teeth. The antennae protruding from their head are clubbed from bottom to top. Are Merchant grain beetles dangerous? If Merchant grain beetles contaminate the food you eat, you can get ill. They won’t sting you or bite you, but the potential troubles they pose are still something to take seriously. You have them because they found a way inside your home and access to one of their favorite foods like cereal, macaroni, candy, chocolate, cake mix, dried pet food, oats, and cornmeal once they were there. That means, to prevent them from infesting your home you need to make it harder for them to access both the potential food and shelter. How can I prevent Merchant grain beetles? Preventing and controlling pantry pests are similar no matter the species. First things first, pay attention to cleanliness in your kitchen and pantry. Clean up spills as soon as they happen. Regularly check dried food products and pet foods for signs of infestation. Discard infested foods in outdoor instead of indoor trash. Store dry pantry goods in airtight hard-sided containers. Pay attention to how long different items have been in your pantry. Consume your food from oldest to newest. How can Gregory Pest remove Merchant grain beetles from my home or business? An expert exterminator from Gregory Pest Solutions will be your full-service pest solutions provider specializing in the effective, humane removal and prevention of merchant grain beetles and their nests from your home or business. 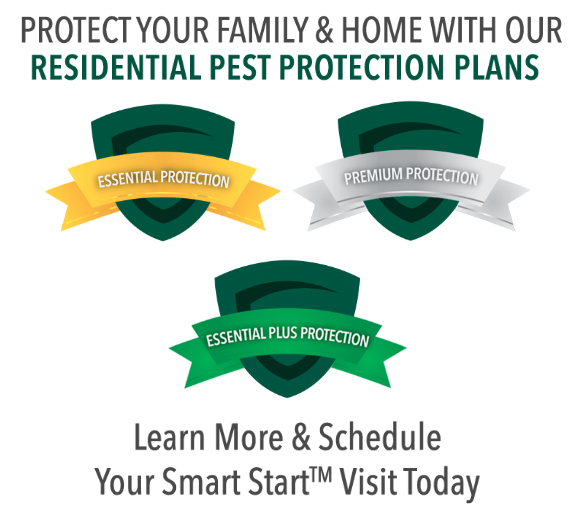 When you hire us to evaluate how extensive your home’s pest problem is, one of our pros will be sent to assess the situation and then formulate an environmentally friendly plan for removal and prevention. We’ll also make sure Merchant grain beetles can’t make nests again, so you and your family can enjoy a lasting insect-free environment.